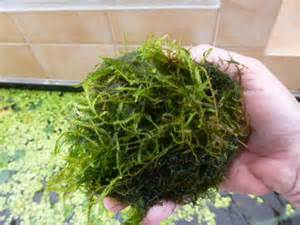 Marimo Moss Balls have received increasing popularity in recent years due in equal parts to their beauty and low maintenance. Although also found in Scotland, Iceland, and Estonia, Marimos are best known for being from Japan, where they are considered a National Treasure and even have their own cartoon character (high praise indeed). Their signature shape occurs when strands of algae become entangled at the bottom of a lake. Slowly but surely, the current turns them more and more until a ball forms. With their velvet-like exterior and lush green color, Marimos compliment any aquatic setting. As lone tenants, Marimos need nothing more than a container and tap water, kept at between 25-35 degrees Celsius and changed every week or so. However, they don’t mind having roommates in a freshwater tank either. Though rare, more aggressive fish have taken exception to a Marimo and taken a chunk out to show it. If this happens, the two will need to be separated. Now just because Marimo Moss Balls don’t need much doesn’t mean they won’t earn their keep. Though they appear to be simply sitting still, Marimos are actually maintaining a clean tank by outcompeting other algae for nutrients. Marimos know there’s no point to being so beautiful if people can’t even see them. Marimo Moss Balls may have their own three day festival in Japan and, yes, they’ve been featured on a postage stamp there. Twice. 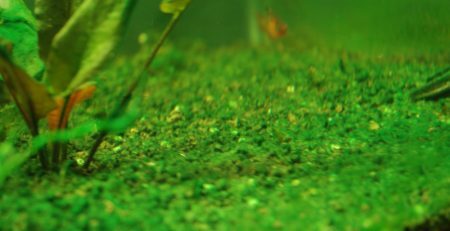 But at the end of the day, Marimo Moss Balls never forget where they came from: the bottom of a lake. So there is no need for fancy lighting or effects. Marimos will do just fine in typical household lighting or indirect sunlight. Direct sunlight will, however, end up killing your poor Marimo. Resting in water all day can be dirty work, so it’s a good idea to bathe your Marimo every couple of weeks. Of course, even bathing a Marimo is about as effortless as it gets. Simply pick it up out of the water, squeeze it gently so the water is released, then rotate it and repeat. Don’t worry about doing the same area twice. Once you’ve rotated through, go ahead and put the little guy back in his home. That’s one clean ball of algae! When Marimo Moss Balls perform photosynthesis, you’re in for a treat. The oxygen trapped inside them will often force the little guys to “dance.” As oxygen is released, they rise with it to the surface of the tank, spinning slowly in place or even taking a couple laps. Once their dance is finished, the Marimo will return back to the bottom. Sometimes, of course, ascending to the surface seems like too much work and Marimos will simply host their Moss Ball ball at the bottom. 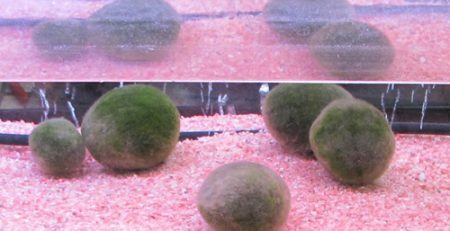 Unless you’re looking for conversation from your moss, Marimo Moss Balls are perfect for everyone. They enhance the appearance of any freshwater aquarium or can stand alone as simple testaments to nature’s art. Best of all, though certainly captivating, Marimo Moss Balls need almost no attention.